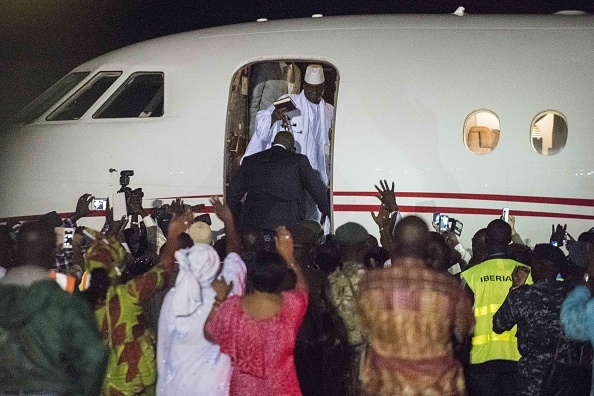 Yahya Jammeh, former president of Gambia has left Banjul, the capital to begin an indefinite term in exile. He left just after 10.00pm for Conakry, along with President Alpha Conde. He was given a full ceremonial honour by the military brass band and a red carpet treatment. 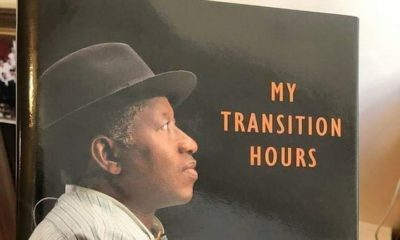 According to a journalist who witnessed the departure, some of his aides wept openly on the tarmac, while “others outside are still celebrating”. His departure was confirmed by President Adama Barrow, now waiting in Dakar, Senegal to return home and start his government of ‘inclusiveness’ and transparency as he promised on Saturday. “I would like to inform you that the 2nd President of the Republic of The Gambia, Yahya Jammeh has left Gambia. #Gambia,“ Barrow tweeted at about 10pm Nigerian time. Hordes of journalists and a battery of photographers had camped all day at the Banjul International Airport waiting for his departure, after an agreement was reached Friday night with President Alpha Conde of Guinea and President Abdul Aziz of Mauritania, for him to vacate power voluntarily. The former soldier turned civilian leader held sway in the country for 22 years and had vowed to rule the country for a hyperbolic ‘billion years’ until he was thrashed in the presidential election by a political green horn, Adama Barrow. It is not clear where Jammeh will end up eventually. He flew out with President Alpha Conde in an aircraft owned by Mauritania. After landing in Conakry, Jammeh may finally be heading to Malabo, capital of Equatorial Guinea, ruled by another African pseudo democrat, Teodoro Obiang Nguema Mbasogo who has been in power since 1979. Barrow succeeded Jammeh who lost in the December 1 2016 presidential election and refused to vacate office when his 22-year rule expired midnight on Thursday. West African mediators spent several hours in talks with him on Friday after military forces of the Economic Community of West African States (ECOWAS) stopped actions to remove Jammeh by force to allow last-minute negotiations. Jammeh, also on state TV announced that he would step down in the interest of the Gambian people adding that it was his duty to “preserve at every instant” their lives. 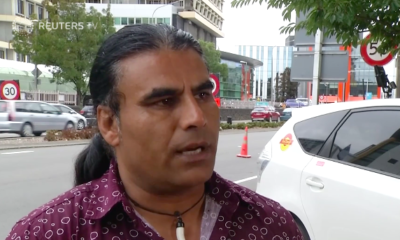 Barrow earlier said he was returning to his country once a security sweep had been completed. He also told Gambians who had fled the country that they now had “the liberty to return home”. He was given red carpet treatment after ruling Gambia with an iron fist for two decades. Yahya Jammeh will surely pay for his sins. He’s gonna be extradited to face trial. Charles Taylor’s exile in Nigeria didn’t stop his extradition to The Hague. Hissene Habre, the Chadian dictator, was tried in Senegal. Jammeh’s sins are too many to be forgiven. I heard he once prevented HIV/AIDS parients from taking anti-retroviral drugs because he claimed he could cure them with banana peel. He summarily tried and executed political opponents and did lots of other crazy things. It’s funny how he is running to Equatorial Guinea, a christian country, when he declared Gambia an islamic country and enforced sharia law. Let’s see how everything turns out. He is going to Guinea not Equatorial Guinea. There are three Guinea’s; Guinea Bissau, Equatorial Guinea and Guinea. The ex president is going to Conakry, capital of Guinea. 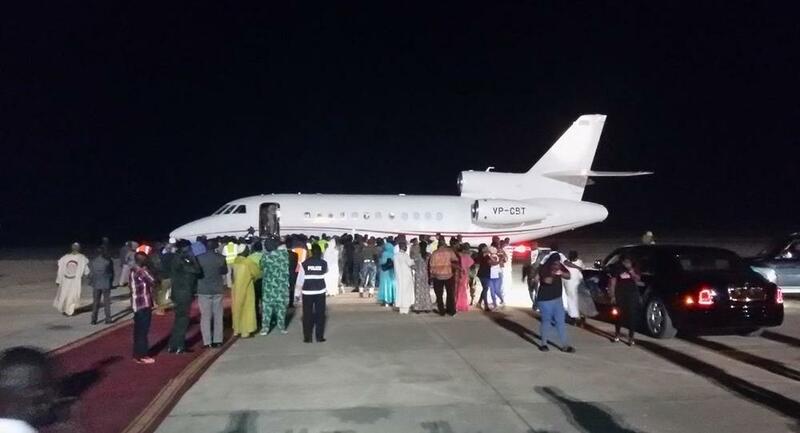 @Abk, Yahya Jammeh went to Guinea first with Guinea’s President Alpah Conde, but set off again for Equatorial Guinea, where he will remain in exile. Guinea is a muslim-majority country and a fledgling democracy, while, Equatorial Guinea is predominantly christian, but governed by a dictator. Its President Teodoro Obiang ousted his uncle in 1979, and has ruled since then. Yahya reckoned he’d be safe in Equatorial Guinea, a christian country run by a dictator, than in Guinea, a nascent muslim democracy. Someone please educate me, why did he have to go on an indefinate exile? Learnt he agreed the elections were fair and free, congratulated the winner but because many people were rejoicing he got annoyed and said he will continue ruling. I’m not sure but this is what I heard. If he continue staying in the country he will constitute a security threat to the new president so he has to go on exile. It’s very hillarious when Nigerians meddle in the affairs of other countries. You actually have time and emotions for other countries amidst the total mess that’s yours? Stop acting like Jammeh wouldn’t rule for a billion years if he was a Nigerian leader. But for death, Abacha would still be lording over y’all asses. Best case scenario, he would hand over for a while and then run for President and he would win. He would only have to win over a couple of politicians, a couple of news media houses and a couple of hustling big-English speaking twitter overlords to his side and he would pronto be President because y’all would still believe he’s the best thing since Mr Biggs. Y’all are ‘smart’ like that with all your ‘education’ and ‘exposure’.. lol…Please leave The Gambia for the gambians, Nigeria has so much about its past, present and future to sort out if only y’all are reflective. Hahahahahaha love your comment ?? You obviously don’t know Nigeria For you to think any one can rule indefinitely.Death or whichever form it takes,no one can rule Nigeria indefinitely. Plus,would you be happy to watch Gambian dies unnecessarily despite the fact that Nigeria is plagued with many challenges?we are all Africans and want the best for each other. My sister, it’s sheer waste of your time explaining anything to this idiot who calls himself ‘The Real Nigerian’. You definitely have an issue with Nigeira. Nigeria isn’t the only country helping you guys. Senegal and Ghana, and the ECOWAS in general were/are helping/helped Gambia so why pick on Nigeria? We should have left your sorry asses to continue the torture you’ve been experiencing for 22 years. If Nigeria and other countries didn’t help, it’ll be an issue. Now they’re helping and you’re talking about minding their business. If we “minded our business” your ungrateful asses will be in total war at the moment. Such ungrateful individuals. This is why I’m never in support of Nigeria helping some African countries, cause you all are ungrateful, hateful, jealous individuals, and are never appreciative. Always looking for irrelevant reasons to insult Nigeria and Nigerians. All you guys that hate Nigeira for no just reason, or perhaps you feel Nigeria is superior? I really don’t get your irrational post. @MindyourfreakingBiz: I don’t even know how to begin to dissect this your nonsensical rant. What’s pinching you? Is it that: a) a non-Gambian site is carrying news about Gambia? [then you should immediately picket CNN for carrying non-US news and the BBC for daring to let the world know what’s happening outside Britain on a daily basis] , b) you’re pro-Jammeh, feeling sour about his ouster and upset about Nigerians’ delight at his exile [Eyaaaaahhhh], c) you’re pro-Jammeh and upset that Nigerian troops were sent to Gambia to see him out, d) anti-Nigerian in general and want us to keep silent at all times so you’ll forget we exist [Double-eyaaahhhhhh]. Which of the above? I almost feel sorry for you because whichever one is doing you, it’s clear that you’re emotionally and mentally unbalanced. I didn’t know that one cannot form or voice out an opinion about another country’s affairs until one’s own country is paradise – this is a brand new concept to me. Following your logic, which country’s citizens have the right to entertain thoughts about other country’s affairs, much less air them out or act accordingly? Japan perhaps? US? Sweden? Which nation on earth has attained nirvana and perfection? Listen, if not for Nigeria’s meddling, Jammeh would be relaxing in State House right now, planning for a new election and orchestrating the perfect coup. THIS IS A FACT. When your army chief heard that the Nigerians and Senegalese were coming, he pissed his pants and verbally surrendered before even sighting one soldier: “we’ll welcome the ECOWAS troops with flowers and make them a cup of tea” – a whole army chief fa! Jammeh left because he knew that 1) the Gambian army wouldn’t back him up in any fight with ECOWAS, 2) in the slim chance that they they did, the ECOWAS troops would make short work of them, 3) his elite guards would be like child’s play to ECOWAS soldiers and he would either end up like Gaddafi or be seen walking down the tarmac at gunpoint. Instead of you to be grateful for our contribution towards driving out that white-robed principality, you’re here running your mouth. If Nigeria hadn’t intervened, this is 100% what would have happened: Jammeh would have ruled the Gambia until he became old, senile and decrepit like a certain Rhodesian gentleman we all know. In another 10 years, he would have run down your economy, left your tourism industry in shambles, left all your young men and women with no choice but to leave for Europe via the Mediterranean, and left your villages devoid of all but babies, the elderly and the disabled. How am I so sure of this, you ask? The same powers of prediction and foresight that God has blessed you with to predict with utter confidence that Abacha would have still been “lording over all our asses” if not for his death, is the same anointing that God has given me – He is such a generous and magnanimous God. So…does Nigeria have massive issues? YES, it does, in abundance. But does this mean we should all collectively put our heads in the sand and ignore what’s happening in other countries? Absolutely not. There is such a thing as free speech and free thought and it’s extremely myopic not to digest current affairs because our little slice of earth is topsy-turvy and upside down. Why not stick that in your pipe and smoke it?, little Miss/Mr Reflective. Oh, and just a thought – if you can’t handle Nigerians’ opinions about your country, don’t visit BellaNaija. stick to BellaGambia and DO NOT scroll through the comments on any non-Gambian news sites while this Jammeh matter is still trending, as you will surely die of a heart attack. Non-Gambians meddling, commenting and writing discourses on Gambian current affairs like it’s going out of style! @mind your freaking biz. Your comment shows an ignorance that is typical with people who don’t want to progress. So someone can’t comment on another African countries political situation because they are not from that country? Anyway the fact is Jammeh is out and this is hopefully for the good of the people, the power by force has never worked too well for many countries. I do agree Gambia has a thriving tourism industry but if things don’t work for the good of the people you have to try something else. Good luck to Gambia. And I see no point in comparing African countries because size, tribes and traditions make up so much of what happens in that country. But we can all agree that the majority of African countries are ruled with a “take but don’t distribute/share with the rest” type of attitude. And that’s why we have the most entrepreneurial skills in this world because we’re forced to. Why will Trump not abuse Africans. How can one person rule for 22years and still dosent want to leave after defeat in an election which he agreed was a fair election. Thumbs up for Jonathan who agreed he was defeated and left voluntarily. Which country can contain Nigerians if there was need for us to run. Not even five countries would have been enough for us. Cry my beloved continent Africa. Do you have video evidence of Trump abusing Africans??? Thought this has been debunked? … Seriously, the comment made no iota of sense. As a Nigerian, I am beyond happy for Gambians and their victory against Jammeh. This is a victory and progress that should be celebrated. Abacha would not be lording over anyone’s asses neither would any other Nigeria politician. All it took to get rid of Abacha was an APPLE, my dear (not saying that this is something to be proud of but it is what it is. Congratulation Gambians and Good luck. @HisEggcellency: it’s my time I used to write the history textbook, it’s my mind I applied to the writing of the textbook, and it’s my fingers that got good exercise this afternoon – not yours. So, why is it paining you? Calm down ehn! I was only trying to be funny. Nothing serious! He left with $9 million cash on that plane , drained all the coffers.